State of New Jersey Department of Banking and Insurance Licensed Producer: Title, Life, Health. Owner's Title Insurance Policy – A policy which is purchased by the homebuyer. While it is the buyer's choice, purchasing an "owner's title insurance policy" is the best way to protect your property rights, as well as your trustees, inheritors, and beneficiaries. *The opinions expressed on this website are strictly those of Malleo Financial Services, LLC and not those of ASH Brokerage Corp.., or any of our affiliates. will not give any tax or legal advice. Mike grew up in Garfield, New Jersey. He’s always been interested in finance. Out of personal need, he educated himself and ultimately others. Mike began his career in financial services working at Primerica Inc. for 11 years, where he worked his way up through several levels of management. He later worked for a Mass Mutual agency, and then for Wells Fargo before deciding to go out on his own as an independent advisor. In his spare time Mike is a coin collector, carrying on the tradition of his father and grandfather. Mike is an avid Bible reader, and also a history buff, who is often found reading biographies of U.S. Presidents and other historical figures when he is not reading industry research articles. Mike is also a motorsports fan of Formula One, IndyCar, TORC, NHRA, and TUDOR U.S. Grand AM racing. Mike’s other passions are weightlifting, and training various martial arts. 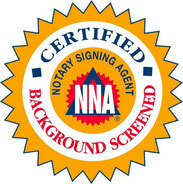 Mike is Life and Health insurance licensed, is a Certified Notary Signing Agent, and a Certified Signing Agent Expert. 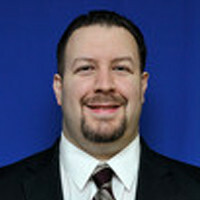 Over the years Mike has been involved in various local Chambers of Commerce, and was also the President of the Little Falls NJ chapter of LeTip International. Mike has also served three terms as President of the North Jersey Business Professionals (NJBP) Clifton-based networking group, in which he was also a founding member. Mike is currently a member of the American Land Title Association, the National Notary Association, and the American Society of Notaries. For a free consultation, please contact us for an appointment.